Fire medicine is transformative. Fire medicine is transmutative. Fire medicine is the fuel that ignites the embers of creativity. My reinvented and reimagined Fire Element Set is here, equipped with the tools to bring any latent embers within you to a blazing roar of zeal, spontaneity, and force. 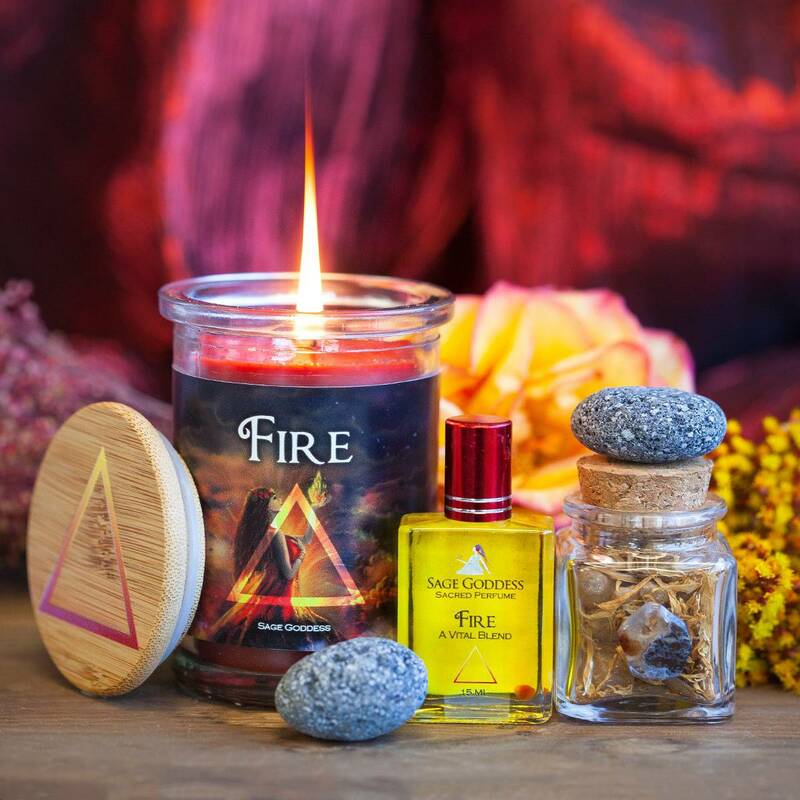 The first in the relaunch of the Sage Goddess Element Sets, this Fire Element Set is for those fiery beings born under the sun signs of Aries, Leo, and Sagittarius, those with fire in their charts, or anyone looking to provoke the flames of change in their lives. It is in the fire that our intentions are sealed, our creations are solidified, and our self-imposed limitations are burned down. 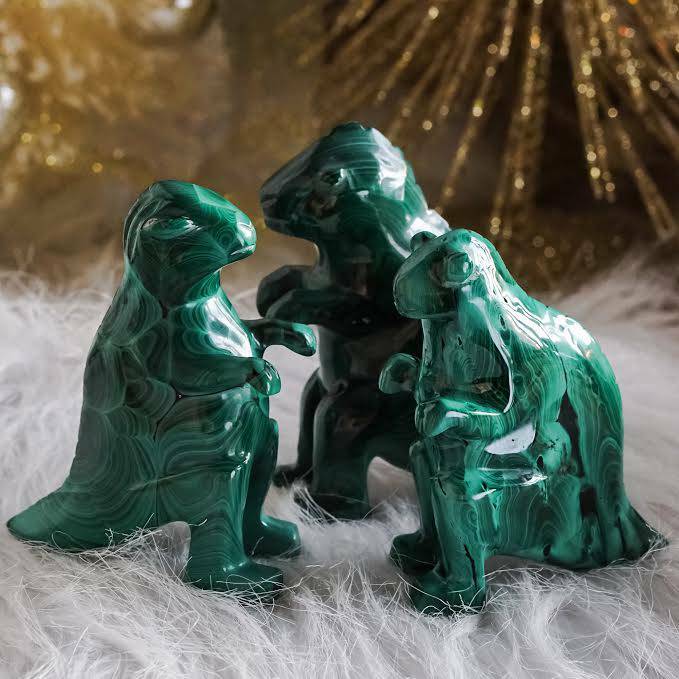 This Fire Element Set will support you in bringing this mutable and life-transforming energy to your life in magnetic, irrepressible, and combustible ways! One (1) Pele Candle. This 6 oz soy wax jar candle is dedicated to the sacred Hawaiian goddess of fire herself: Pele. Pele is beautiful but not to be messed with; she is determined and driven. This candle captures the essence of Pele brilliantly with its vibrant red wax, and has been infused with my Pele oil — a warm, fiery, and sensual blend of ginger, saffron, and pikake. Light your candle and actively set your intentions, calling on the energy and fiery wisdom of Pele to ignite and mold your dreams. One (1) fire element herb offering (about 1.4 oz). Cinnamon, rosemary, calendula, clove buds, and copal resin are the ingredients that blend together quite powerfully in this herb offering. Each herb is known for its individual heat-bringing essence and when blended together, they bring the ferocity of the fire element to life. Your herbs will come packaged in a beautiful, crystal clear glass jar adorned with a symbolic fire agate – to assist with shamanic journeying and vision questing – and a cork top. One (1) 15 ml bottle of Fire Perfume. 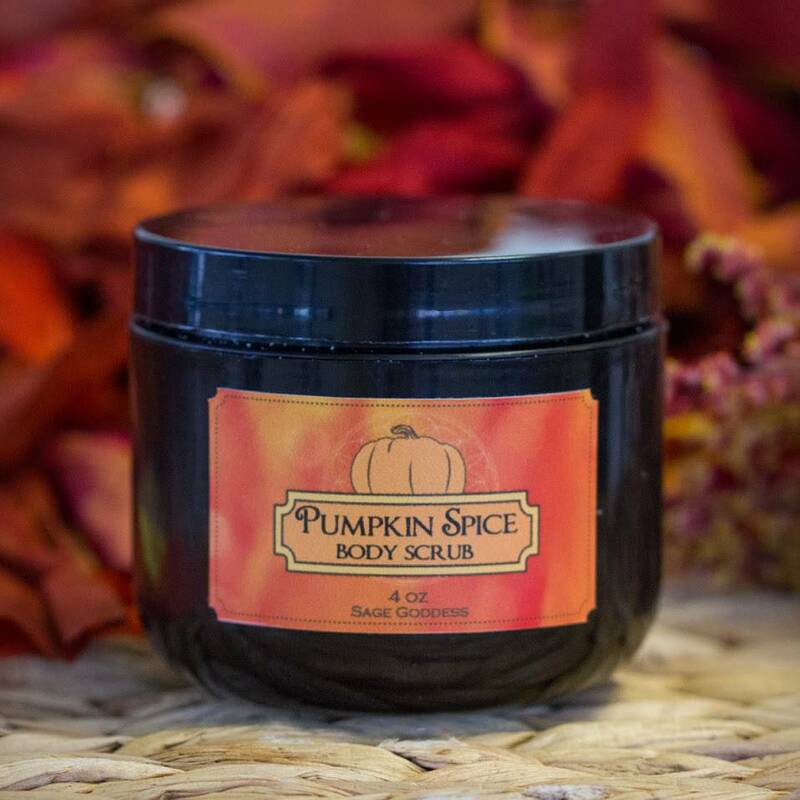 This special blend has notes of sandalwood and clove, and is infused with a carnelian chip stone for a delicious rush of confidence, vitality, creativity, and sexuality. Anoint yourself and your stones with this intoxicating and passionate scent, arousing any latent energies that may dwell beneath the surface, allowing for an eruption of new ideas and inspired action. One (1) lava stone duo. Lava is a product of Earth movement and fiery lava flow – it’s a molten core of fire energy burning through what no longer serves you energetically. 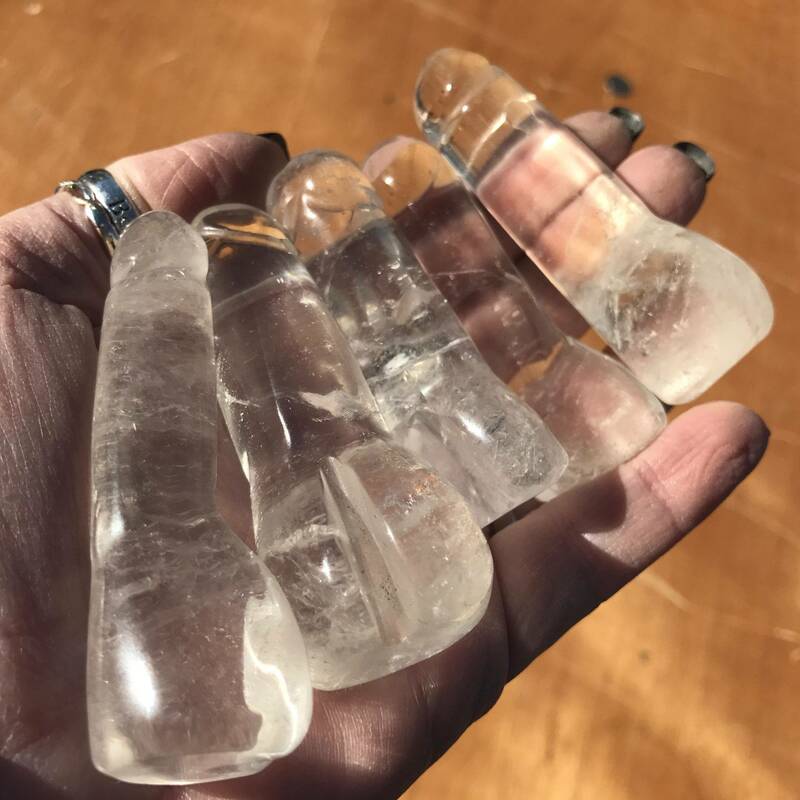 It promotes strength and aids in feeling more connected to the earth and its power. Lava offers the best of grounding, centering, and healing properties. You will receive two lava stones for deep meditation. As you meditate, keep one in each hand – one for receiving and one for sending. Allow this duo to keep you in flow with the divine dance of creation and destruction, giving and receiving, stillness and motion. The perfume in this offering is made with natural essential and carrier oils, and may contain fragrance oils. Cap color, chip stone, and color may vary slightly. For external use only. This listing is for one (1) Fire Element Set, as listed above. Yours will arrive lovingly parceled for your enjoyment and delight. May the radiant fire you are burn brightly!